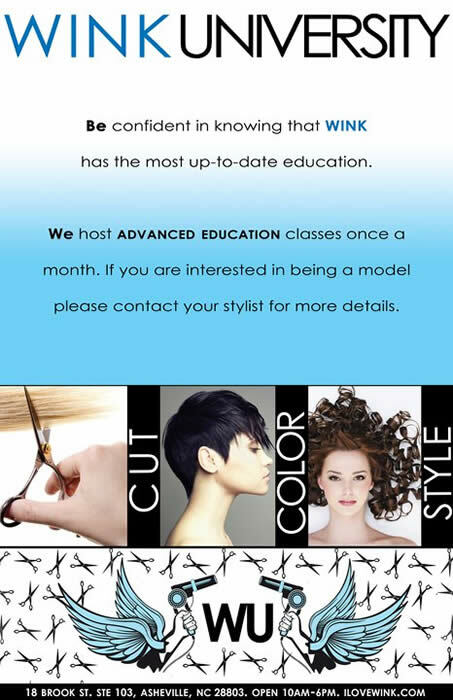 Don't forget WINK is always on the look out for hair models! We are always learning the most up-to-date techniques and styles, so having models of all hair types and colors is very beneficial. Let your stylist know and we will put you on our list!